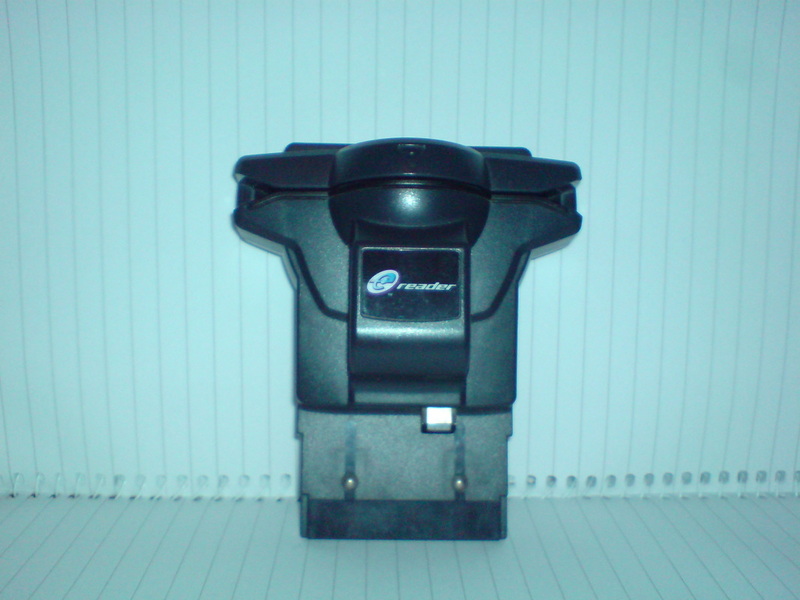 The e-Reader is a device made by Nintendo for its Game Boy Advance portable video game system. It was first released in Japan in December 2001, with a North American release following in September 2002. It has an LED scanner that reads "e-Reader cards", paper cards with specially encoded data printed on them. 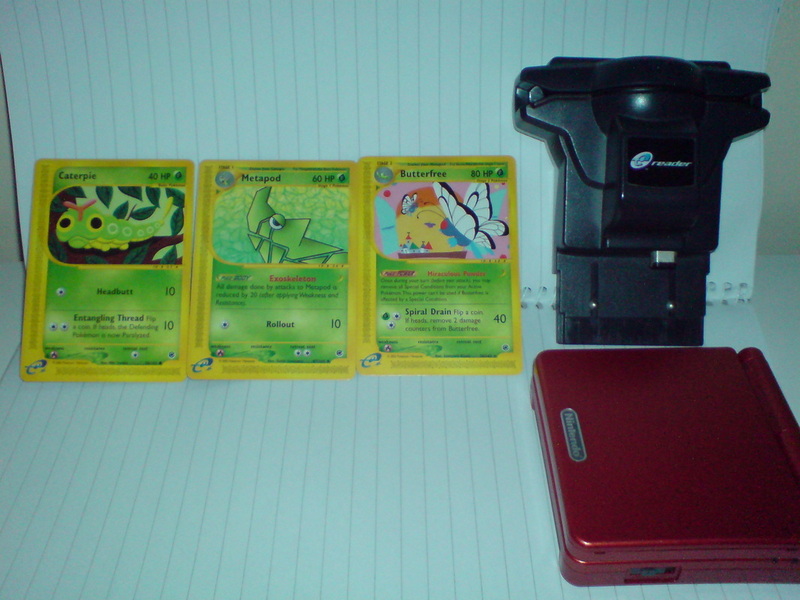 Depending on the card and associated game, the e-cards are typically used in a key-like function to unlock secret items, levels, or play mini-games when swiped through the reader. See below for a comprehensive list of cards and their functions. 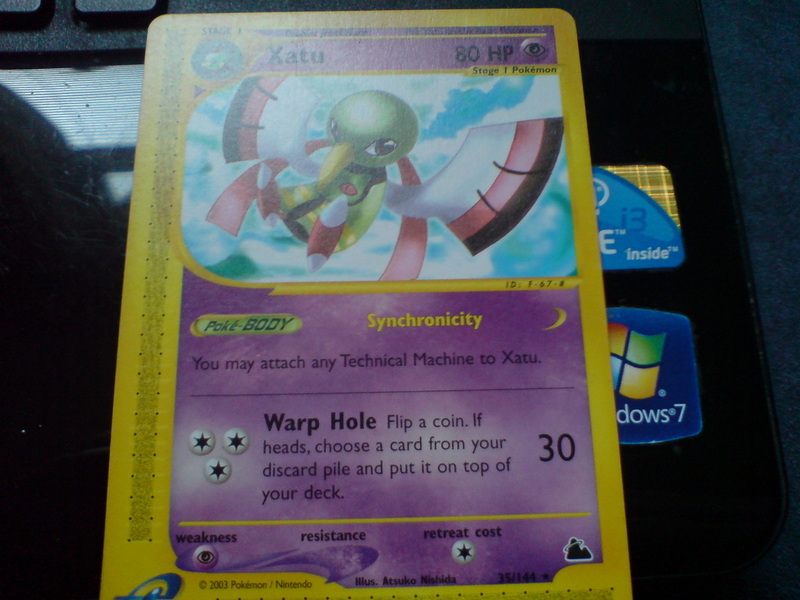 The cards themselves contain data, as opposed to unlocking data already on the device itself. Objective: Playing as Butterfree, you must gather the pollen from the center of the open flowers. If you touch the yellow center of a flower, it will turn blue. 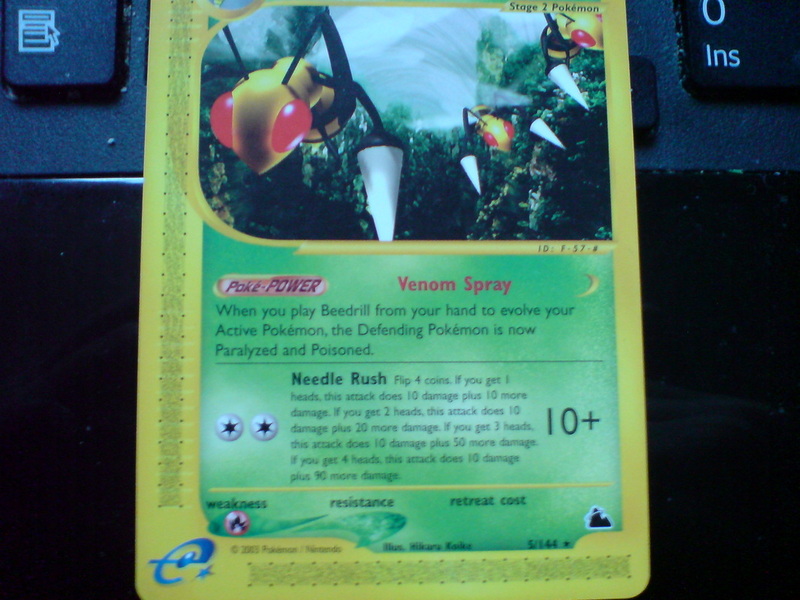 Avoid contact with Beedrill, Koffing and Rattata or your game will be over. Koffing basically stays in one place, while Beedrill flies right to left and Rattata runs on the bottom from both directions. Koffing never floats low enough to prevent you from flying under it. 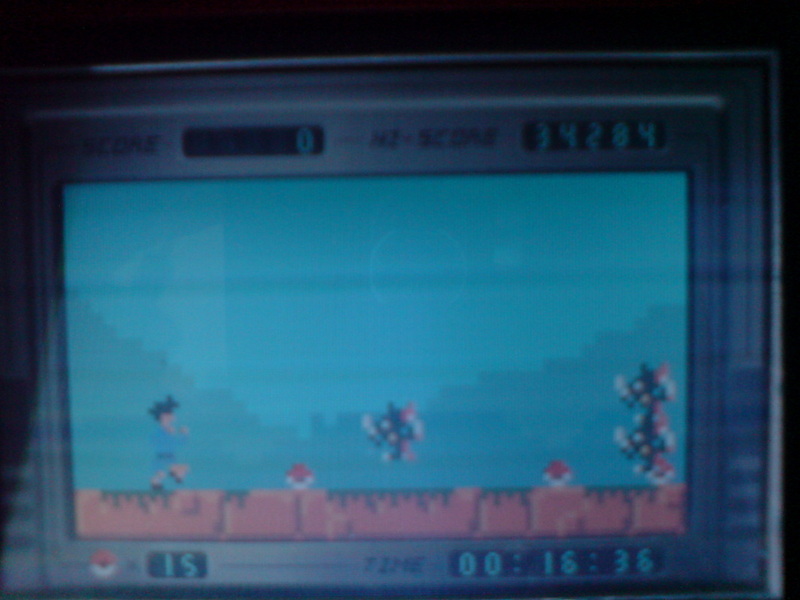 The e-Reader saves your high score. This game is my favorite. Objective: You control Corsola, as you make your way down 100 meters to the bottom of the sea floor, while avoiding Tentacool and Quilfish on the way. The top of your screen has an air meter telling you how much air your Corsola has left. As the time passes, your air bar runs down, going from the maximum to the minimum, and when it reaches the minimum, your game is over. As you dive, air bubbles of three various sizes rise from the bottom, and swimming into them will refill part of your air meter. 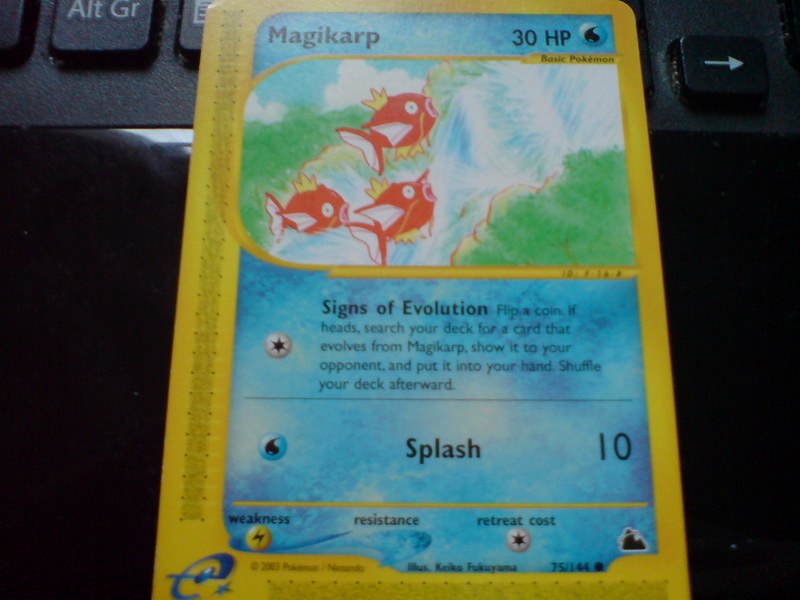 Also, as you dive, the Water/Poison Pokemon rise from the bottom in left-to-right zig zagging patterns. Touching one of these guys will take air away from your Corsola. 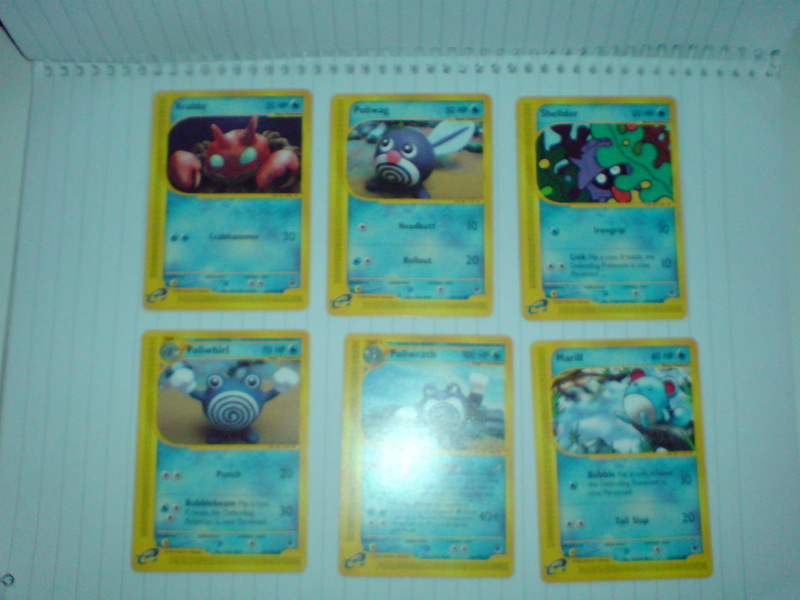 Touching a Qwilfish will take more air from you than touching a Tentacool, so avoid them at all costs! 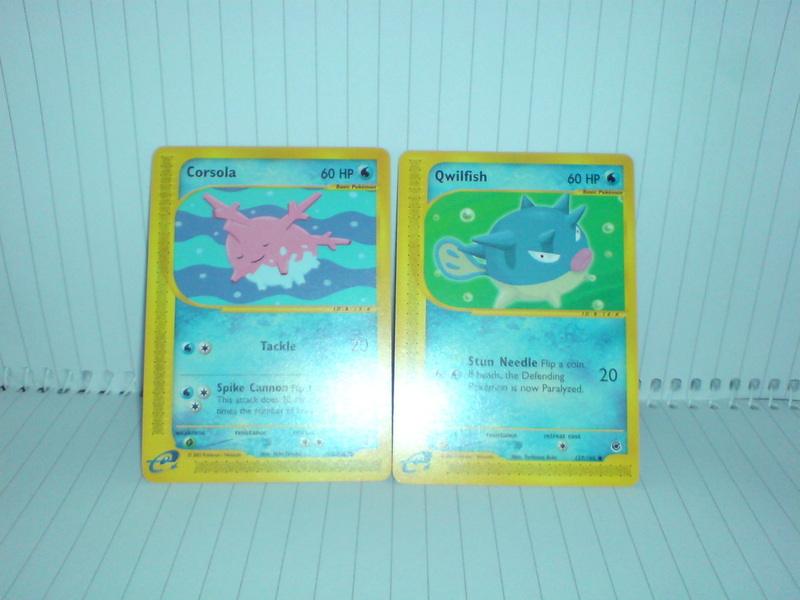 The game incorporates the concept of water resistance and gravity, so Corsola floats upward when not paddling and dive faster when the paddling gains momentum. If you manage to make it to the bottom of the sea, you'll get to try it all again! A good game for only 2 cards. 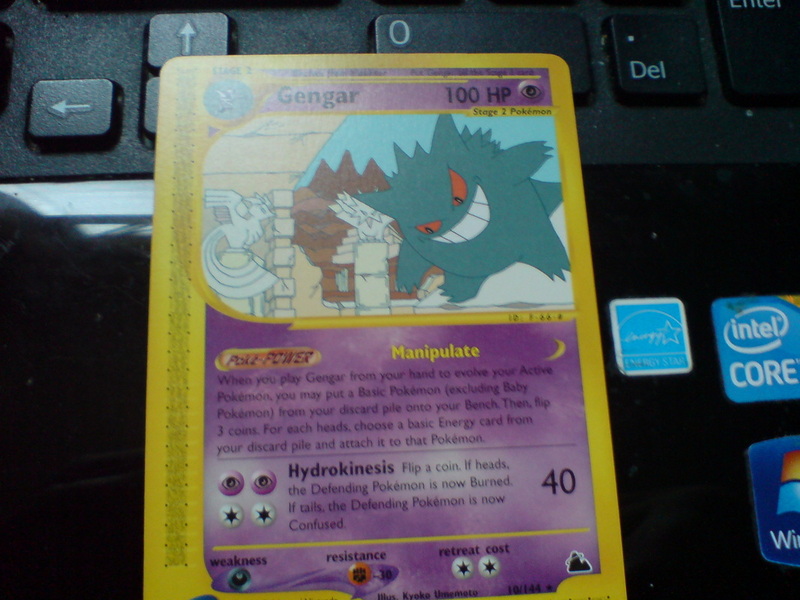 Objective: Help Machop out by smashing all the big boulders that come his way. If the boulder is directly ahead of you press the A button to Punch it, but if it is about to hit you in the head, press the B button to hit it with an Uppercut. If you get hit by a boulder, the game will be over and you'll have to start again. Boulders bounce at different highs, so be careful and don't get tricked. If you manage to smash 50 or move boulders, then you'll evolve into Machoke, but if you manage to smash all 100 boulders, you'll evolve into Machamp. Objective: Playing as Cloyster, you are sitting on the edge of the riverbank with lots of Goldeen, Magikarp and Cloyster swimming below. 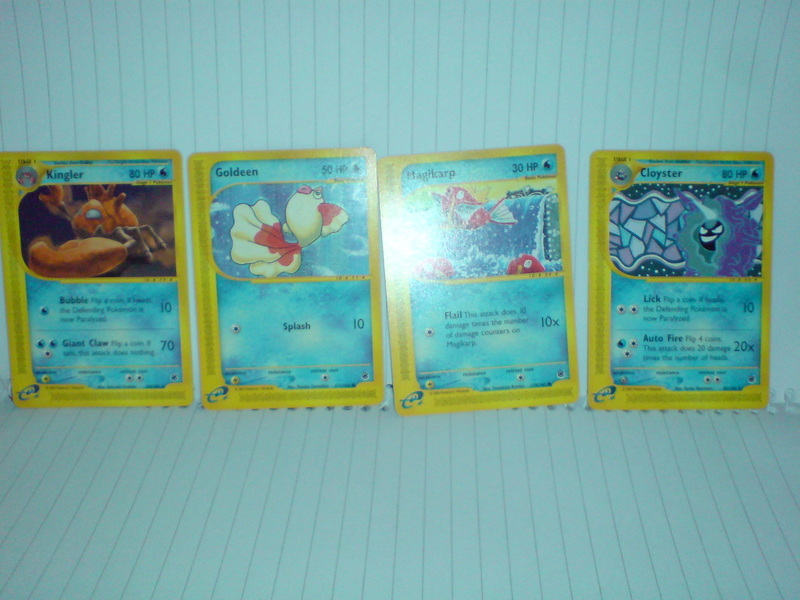 Before time runs out, you must catch as many Goldeen and Magikarp as possible, while avoiding Cloyster. Hitting a Cloyster will put your Klingler out of commission for about four seconds. Don't hold A for too long, or Klingler's claw will get too heavy and he'll knock himself out for about two seconds. 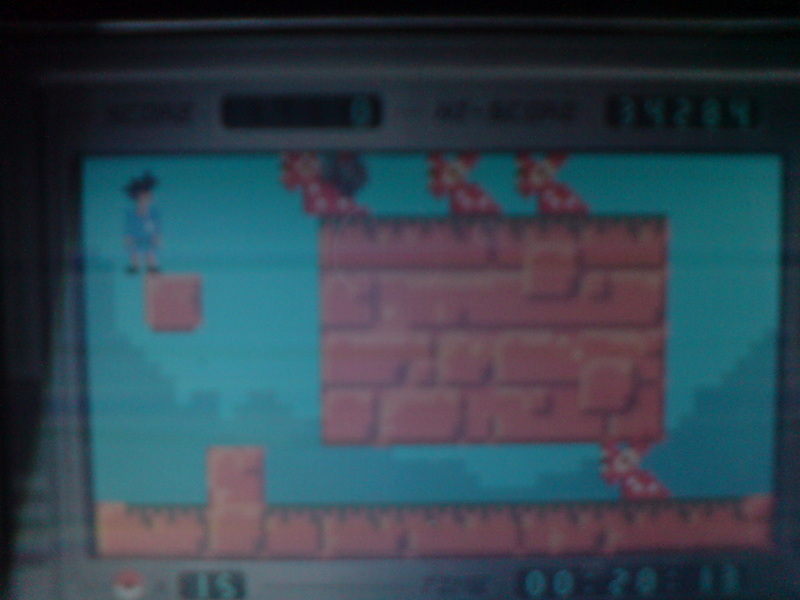 The e-Reader saves your high score. 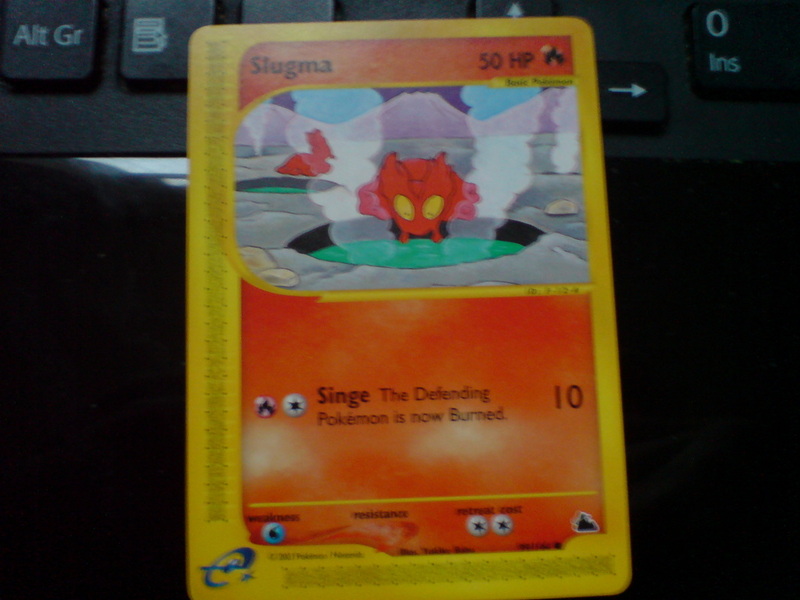 This was the first Pokemon e minigame. 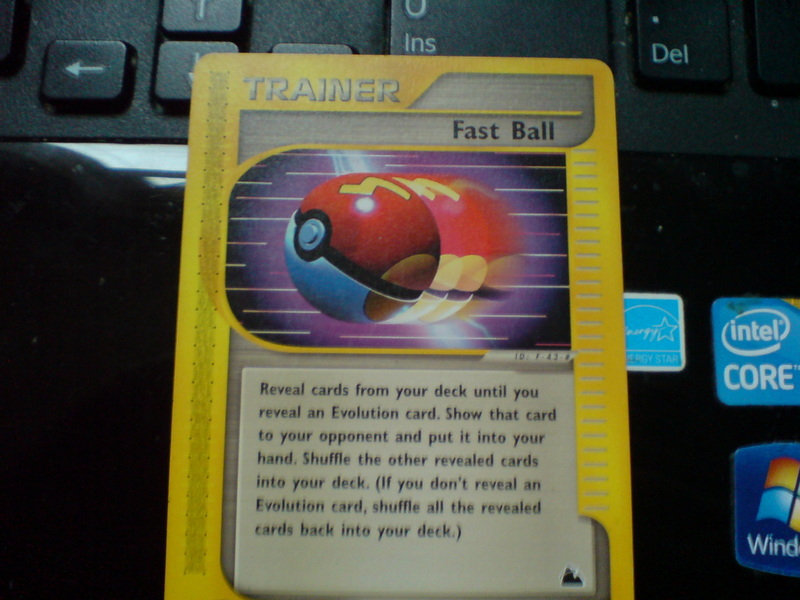 Objective: Racing against a Golduck and a Marill, your Poliwrath wants to beat them both to the goal. Try to get the best time possible by quickly alternating between A and B. Pressing the same button twice in a row will cause Poliwrath to slow down, so don't do it. 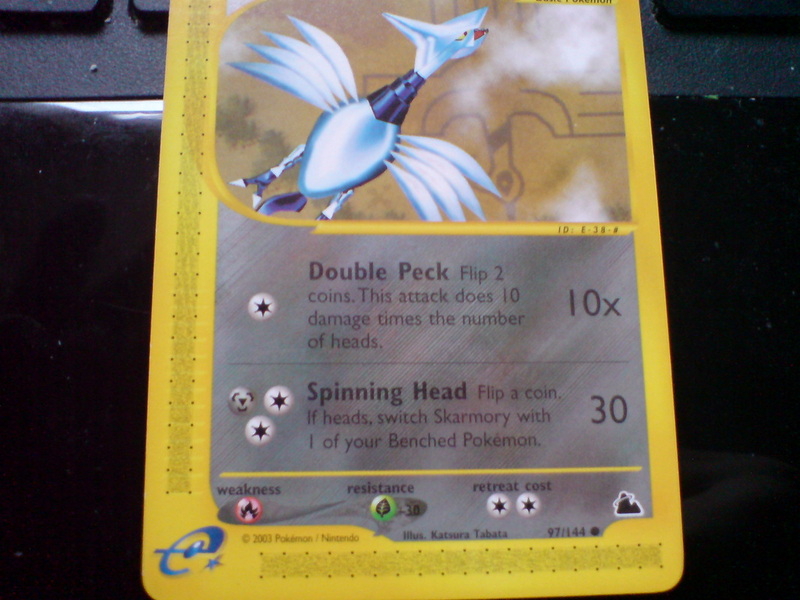 If you don't win, Golduck will. Construction: Action is the name of a constructable Pokémon-based application for the e-Reader. 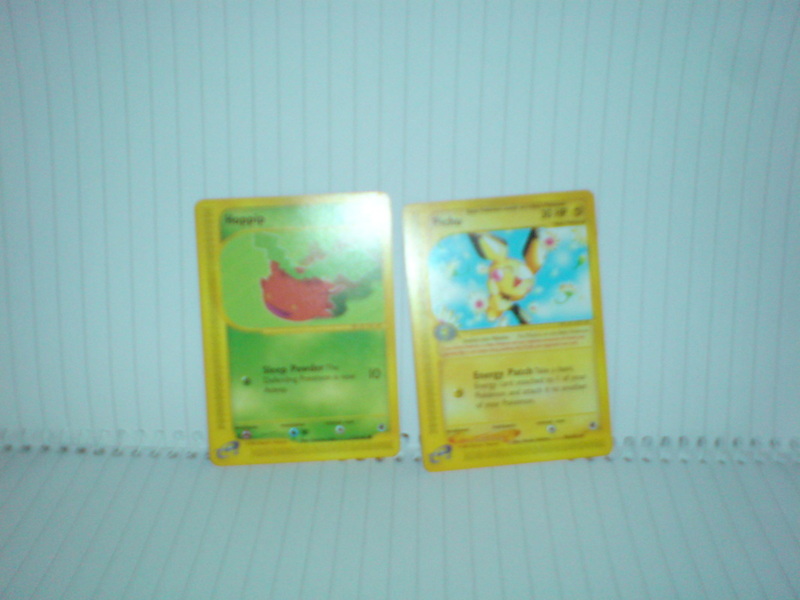 Using a large variety of compatible cards for the Pokémon Trading Card Game, a player can combine different stages and playable characters to create their own mini "action game". 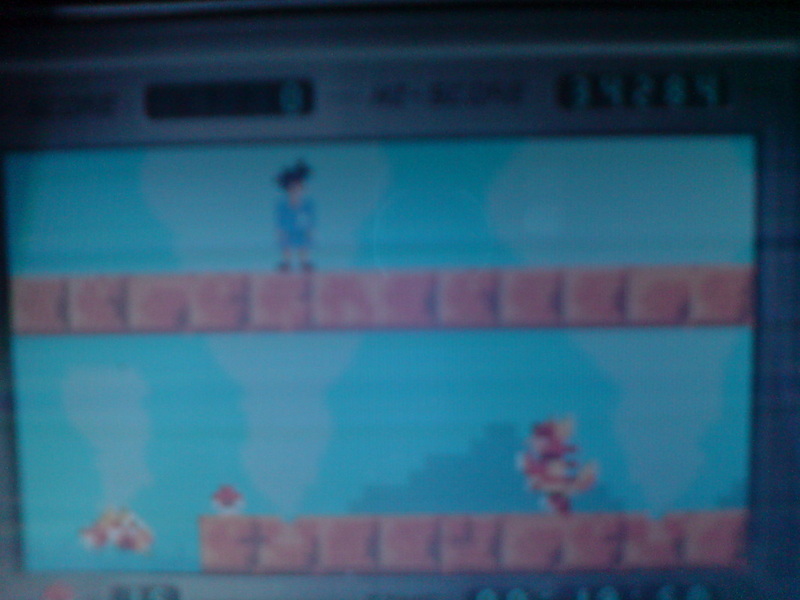 The games are not saved to e-Reader memory and all cards must be re-scanned once the player exits the application. 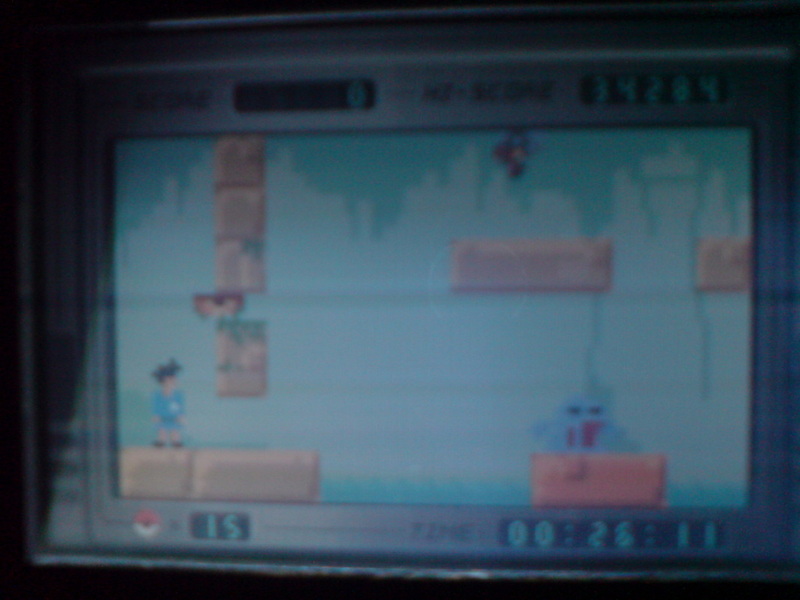 In Construction: Action, the objective of the game is to use the chosen player character to navigate one or more stages (or "maps") where they have to capture Pokémon (usually the one(s) found on the card scanned) by throwing Poké Balls at them. 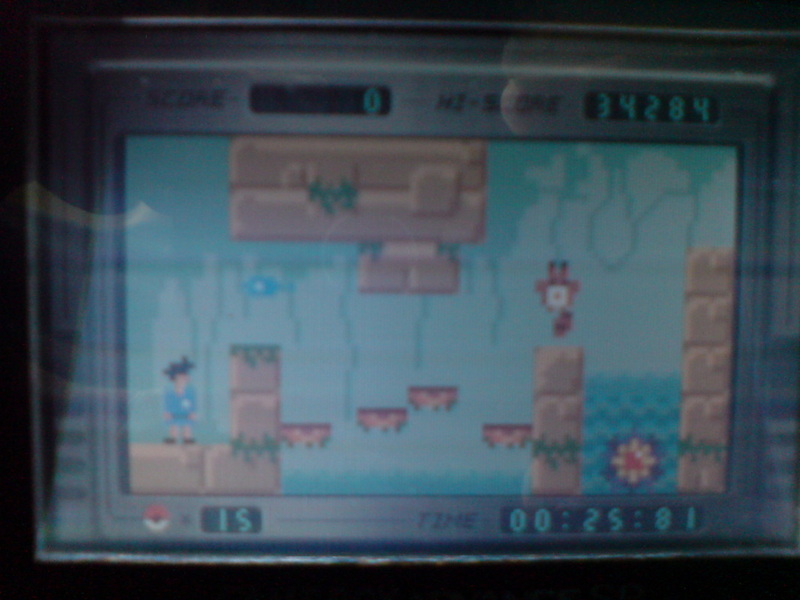 There is a running timer in the game, the player must capture all of the Pokémon before the timer runs out. The timer is adjusted based on which maps are being played. 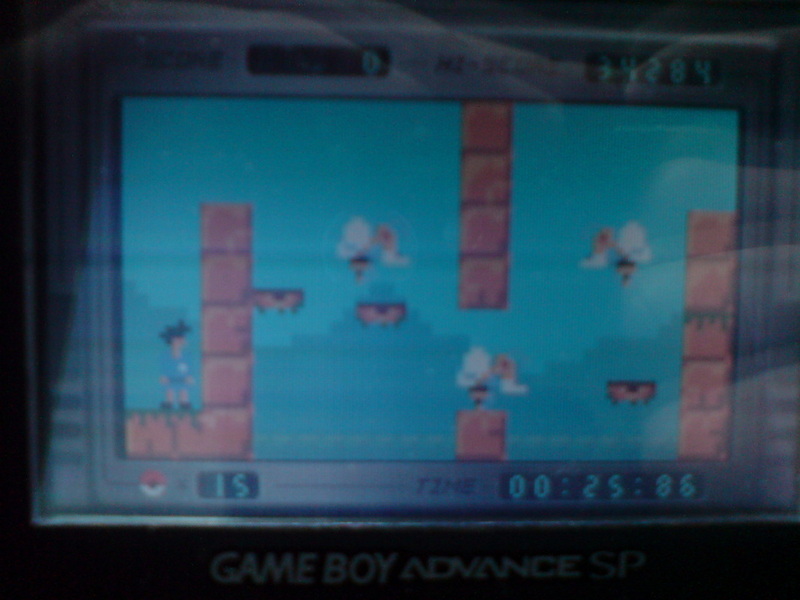 The eight different player characters have varying running speeds, jumping abilities, number of Poké Balls at the start, and occasionally different background music. 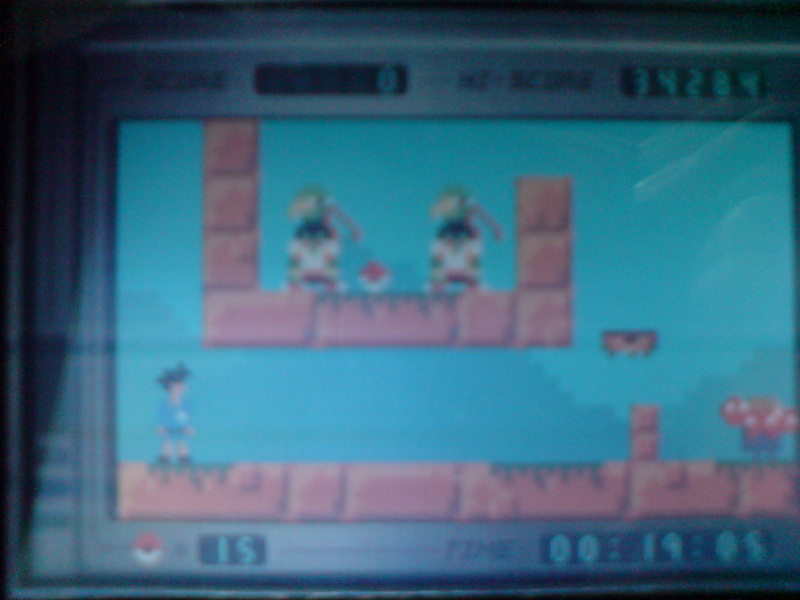 The game is completed when every Pokémon in every map has been captured. 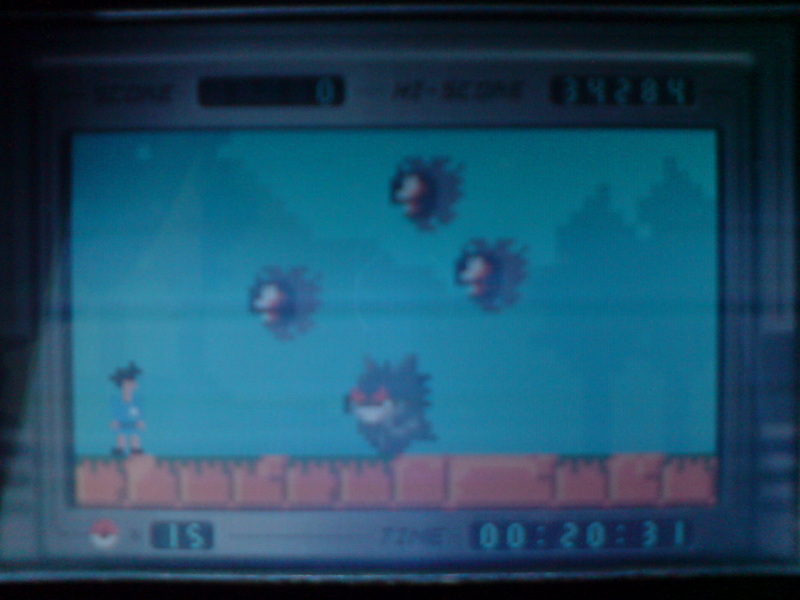 A player can lose by falling into a bottomless pit, touching an enemy Pokémon, touching an enemy Pokémon's attack, or when the timer reaches 0:00. If a player runs out of Poké Balls, the game does not automatically end, as some maps contain extra Poké Balls that can be picked up. 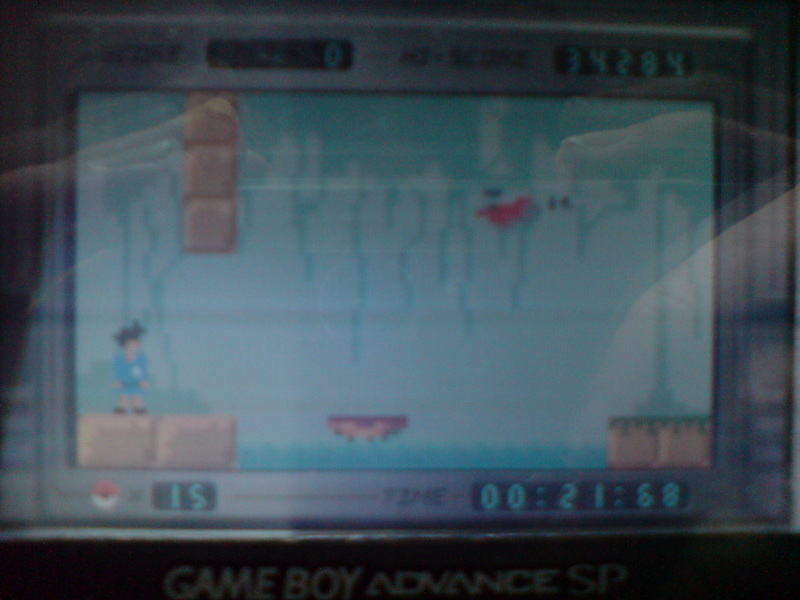 If the player runs out of Poké Balls and there are none left to be picked up, the player is stuck and unable to complete the game and is forced to wait until the timer runs out, or to end the game on purpose by touching an enemy Pokémon/falling into a bottomless pit. To play Construction: Action, the player must scan a "player" card and at least one "map" card. 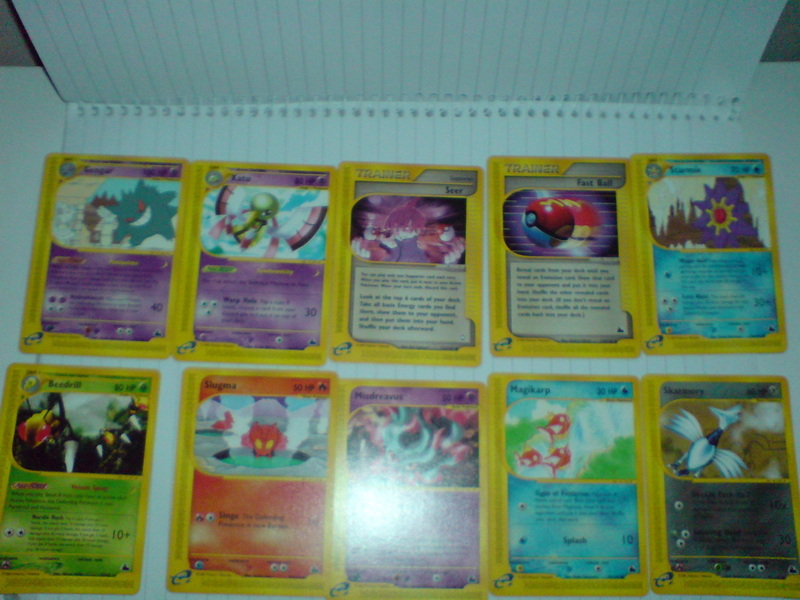 While it is possible to play with only one map card scanned, a total of six may be added to the game at any time. The current map cards can be played in the order scanned or they can be shuffled. 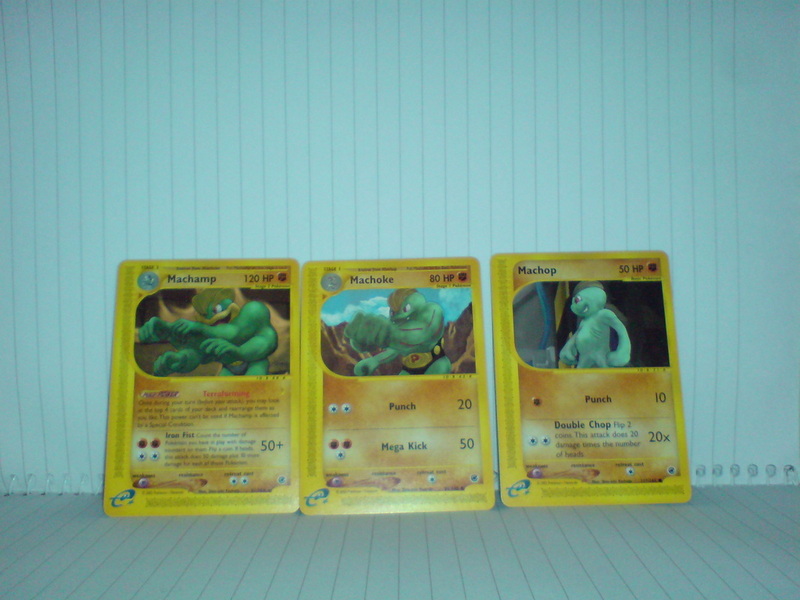 Cards compatible with Construction: Action can be found in the Aquapolis and Skyridge expansions. 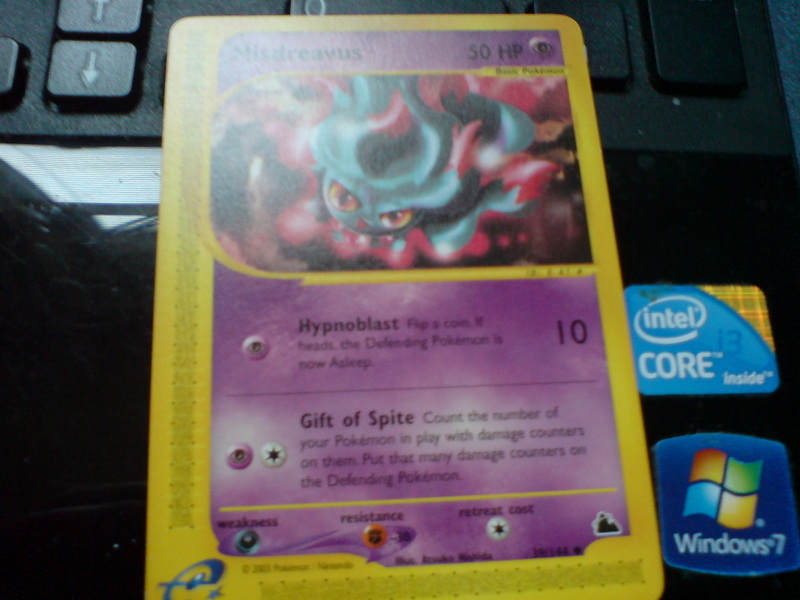 Misdreavus and Muk that shoot shadow balls. 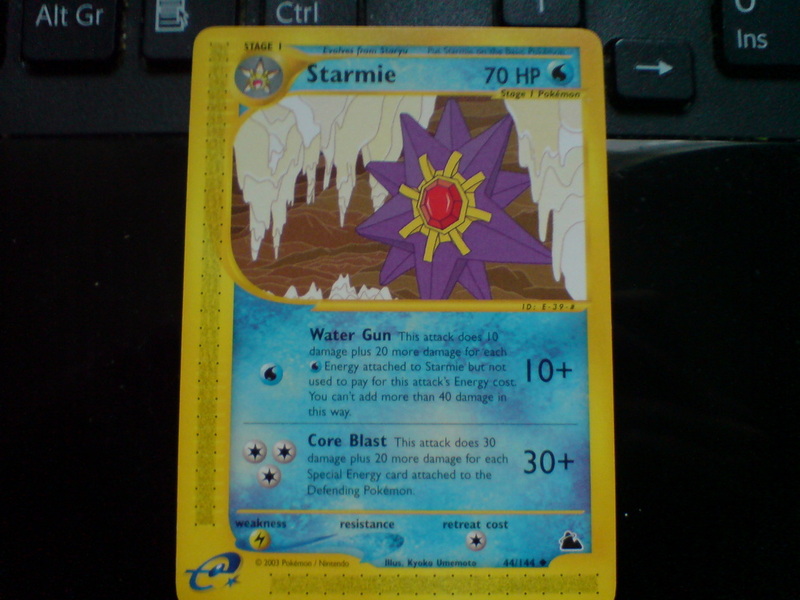 Starmie map card level With moving platforms and pokemon Sentret and Starmie that shoots water gun.